The newest beer craze is coming out of a research lab at North Carolina State University, where environmental microbiologist Anne Madden works with yeast from bees. Most alcoholic beverages, including beer, are made with yeast. However, there are upwards of 1,500 species of yeast and for most of history, we have only relied on two types of alcohol yielding yeast. Only recently have brew masters and scientists begun to explore yeasts other than ale and lager. The age-old relationship between yeast and bees was the inspiration for Maddens work. 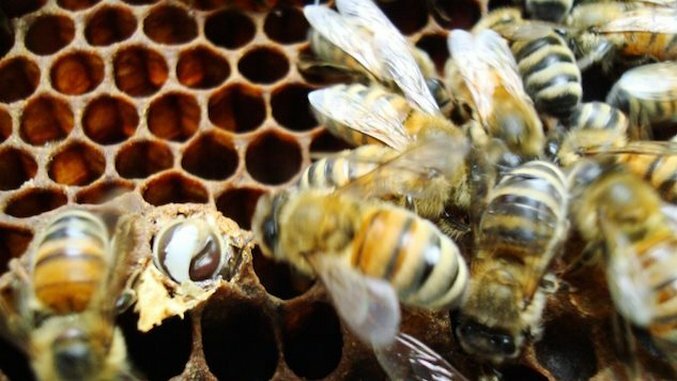 Knowing that yeast live in flower nectar, gorge themselves on sugar to produce alcohol and attract bees, she began to examine the microbes on individual bees. Madden started by collecting one wasp, known for its ability to carry yeast, and continued her experiment in the lab where she moved the wasp’s microbes into a petri dish for observation. She discovered that the microbes grew abundantly on the dish. To ensure the production of top-notch quality yeast, she separated the best yeast from the first dish, onto other Petri dishes. Next, a DNA sample of the cultured yeast takes place. This step ensures that no pathogens are associated with the yeast, and therefore makes it suitable for becoming beer. In the final stage of the testing process, a color chemical test is performed to display that the yeast is able to process a specific sugar found in malted barley. If all tests are positive, then brewing is a go. Using bee yeast has many advantages, scientists have discovered, as their adaptability to different brewing conditions can create multiple flavor profiles from the same yeast. Researchers are excited to see what new yeast discovery will be next, whether it’s for the beer or not. One thing is for sure, the “Bumblebeer” brew is sure to please craft beer connoisseurs everywhere.